You can book at Ooba Beauty Rooms Marlow online using our Book Now button located above. Select from a list of services offered, pick your favourite Ooba Beauty Rooms staff member and book from the dates available. We are Marlow's waxing specialists! Try our Hollywoods & Brazilian's you won't be disappointed and will be suprised how less painful they are! 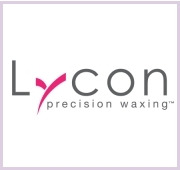 This is because we use advanced waxing techniques and high quality Lycon Wax. All our therapists are Lycon trained and extremely experienced. The overall ranking and star rating is based on customer reviews received in the last 6 months. All customers that paid for a service at Ooba Beauty Rooms were requested to complete an independent review by mylocalsalon (a minimum of 26 reviews are required within the last 6 months to receive a ranking). I had a facial with Megan today who is in training and there fore Im presuming thats why the facial was half price. I feel that I do need to give some feedback though as I am a believer of learning from it and improving the customer service. Megan was overall a friendly person who did seem a bit nervous at times. The facial wasn't as relaxing as normal as the following happened - the steamer ran out of water therefore Megan had to leave the room to get some and then we had to wait until the water heated up ( she did tell me what was going on which was good!) There was also a few times that she bumped into the bed which seemed a bit clumsy, the head, neck and shoulder massage didn't seem to be as long as normal and the face massage didn't seem to flow..... I do have to add that the time she did spend doing the neck and shoulders was good , I just wish it lasted a bit longer! I don't want this to sound negative however as a long standing client of yours I feel that I should sure my experience with you. I also want to add that the room didn't feel as warm and as comfy as normal - when I lay on the bed to get ready it didn't feel as warm and cosy as it used to. Sam was as helpful as ever when she assisted me whilst I paid and gave me some information on products. Thanks Sam! I hope that Megan can take this feedback on board as I want to return for my normal facial! I have to say that no other facial that I experience is as good as the Ooba dermalogica one! Really great. Efficient and so fast, I'll be back!